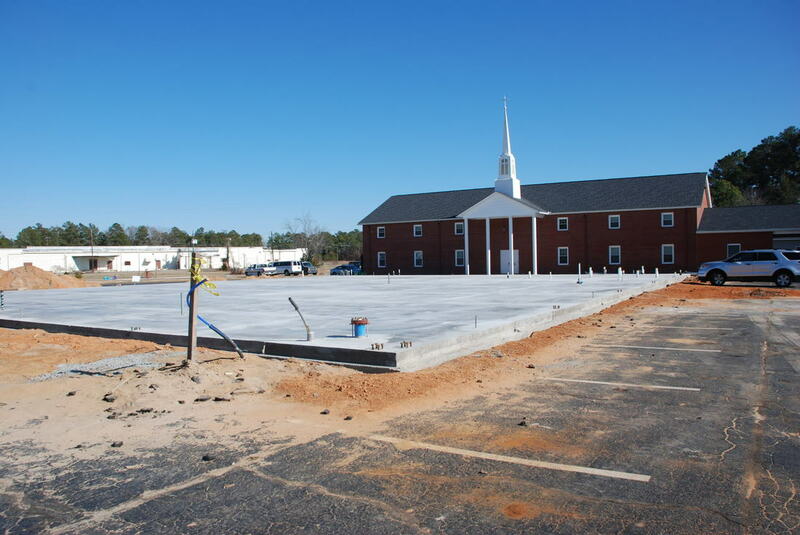 The construction of our new church facility is almost finished! We are just weeks away from our first worship service in our new sanctuary. Our new church will be able to seat many more people in our services. 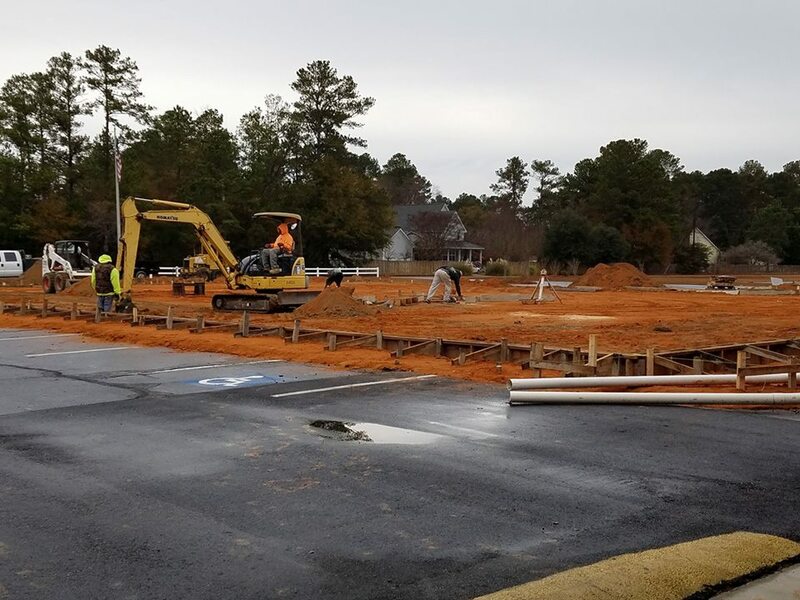 There will be balcony seating, a baptistery, a new audio/visual room, a nursery, six new spacious Sunday School rooms, Pastor's Office, Church office, and large handicap accessible bathrooms. All in all it will be a beautiful place to offer our worship to God. We are so excited to have this space and so excited to be able to have more room to grow and increase the Kingdom of Heaven! Scroll to the bottom to see all the construction pics! We are excited that the construction is underway on our new Sanctuary. We are hoping to hold our first service in late Spring. Keep checking back for photo updates. Click thru the photos to watch the Church construction. The steel has started going up! The brick and roof are next! It won't be long before the work on the inside starts!